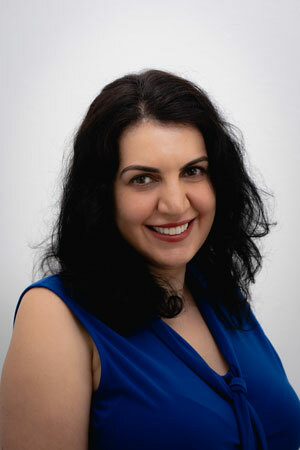 Dr. Roksana Nasseri, General Dentist, grew up in Montreal, Canada and completed her Bachelor of Science degree in Biology at McGill University in 1996. Always striving for excellence, she then went on to complete a Master of Science in 1998. Dr. Nasseri spent the next few years doing research in developmental biology at McGill. Fluent in French, she then attended Universite Laval in Quebec City and graduated from dentistry in 2004.Her passion for continuing education prompted her to move to Ann Arbor, Michigan for a one year Advanced Education in General Dentistry (AEGD) residency program at the University of Michigan. Since then, Dr. Nasseri has practiced general, family and cosmetic dentistry in Ottawa. She recently moved to the west coast to be closer to family and is now happy to call Port Moody home.In her free time, Dr. Nasseri enjoys reading, dancing, travelling, painting and spending time with her family.